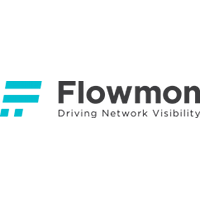 Profile: Flowmon Networks is a European manufacturer of network and security solutions specialized in flow monitoring, network behavior analysis, and DDoS protection for business-critical systems. Flowmon Networks empowers businesses to manage and secure their computer networks confidently. Through high-performance network monitoring technology and lean-forward behavior analytics, IT pros worldwide benefit from absolute network traffic visibility to enhance network & application performance and deal with modern cyber threats. Driven by a passion for technology, Flowmon is leading the way of NetFlow/IPFIX network monitoring that is high performing, scalable and easy to use. The world’s largest businesses, internet service providers, government entities or even small and midsize companies rely on Flowmon solutions to take control over their networks, keep order and overcome uncertainty. With Flowmon solution recognized by Gartner, recommended by Check Point and IBM, Flowmon is one of the fastest growing companies in the industry. Founders and employees of the Flowmon company have experience in participation in multiple national and international projects. The close cooperation with academia and experience on the transfer of the innovative research ideas into commercial products are the strong contributions of Flowmon to the project. Expertise and Role in CONCORDIA: Flowmon will participate in all WPs and contribute input in various parts of the CONCORDIA ecosystem, with a main focus on network monitoring (NetFlow/IPFIX) that is high performing, scalable and easy to use.